Repairs permanently the micro skin lesions. 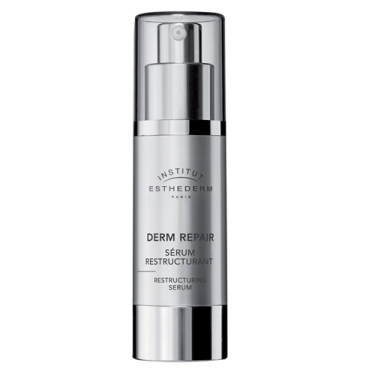 DESCRIPTION: Derm Repair Restructuring Serum from Esthederm is a firming and intensive corrective serum. 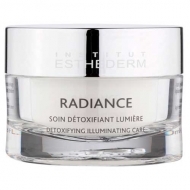 The features of the face are uniform, eliminating wrinkles and fine lines. 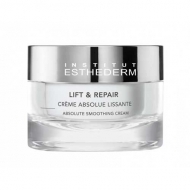 The skin acquires greater firmness and regenerates itself. 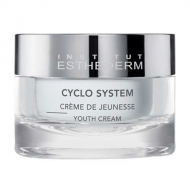 As a high concentration of regenerating components, this serum penetrates deep to strengthen the support structure of the skin and permanently repairs the micro-dermal lesions. Its fluid and translucent texture favors ultra fast penetration of the active components. Apply in the morning and/or evening of the face and neck previously cleaned. 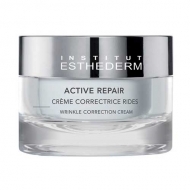 To ensure greater effectiveness, use Derm Repair, before each care of the correction range.